Bill performs accounting, finance and reporting functions for Chicago Capital Partners. 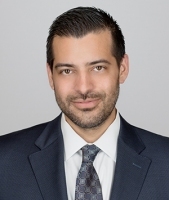 He also works directly with the current portfolio companies to implement internal controls and best practices surrounding processes and procedures, and to assist with their financial reporting requirements. Bill is involved in the identification of, and due diligence process for, acquisition targets of Chicago Capital Partners.. Prior to joining Chicago Capital Partners in 2012, Bill spent five years at Crowe Horwath LLP in both its Transaction Services and Assurance and Advisory Services groups. Bill earned his Bachelor of Science in Business, with majors in Accounting and Finance, from Indiana University at Bloomington in 2006.